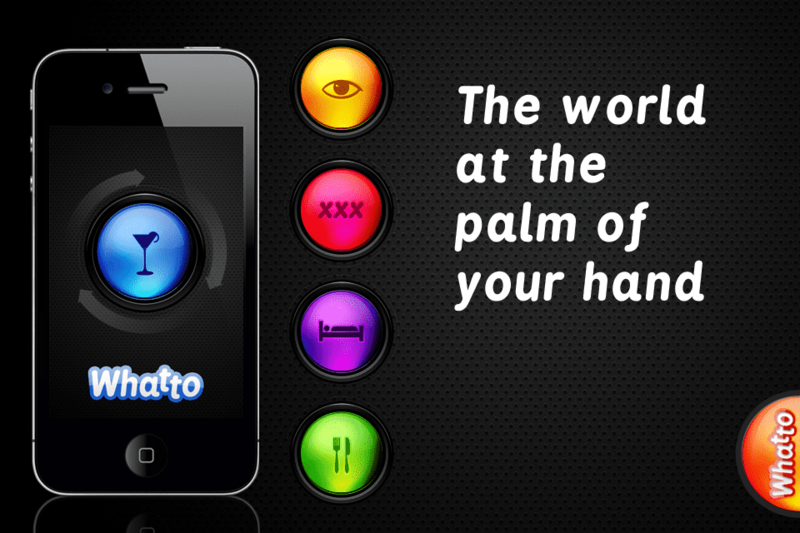 Take control of your senses with a touch of a button! Have you ever got lost in a big city, not knowing which way to go or Whatto do? Then your search ends here! Whatto is “THE” only map you will need to get to the right place! 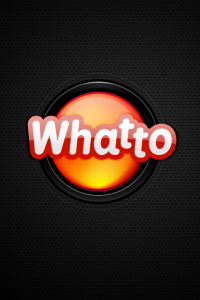 Whatto is a cool & chic app that’s just entered the market. 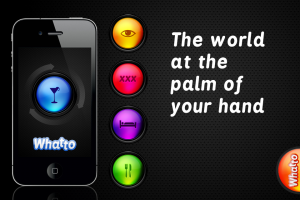 It locates your surroundings and delivers a variety of options for you to choose from. Whether you are looking for a place to eat, drink, sleep or dance! Whatto has a unique design where you get to rotate the button and select what you fancy. You can browse and search multiple choices of places around your area! When you find the right place for you, check your location on the map and find directions. By car, bus or walking. Discover details on you chosen place, see photos and read reviews. Eat: select from a wide variety of restaurants close to you. Drink: enjoy a drink in a wide selection of bars and pubs. Sleep: for a last minute hotel booking, find a room close to you. See: all the attractions and things to do in your area. More buttons to come soon!